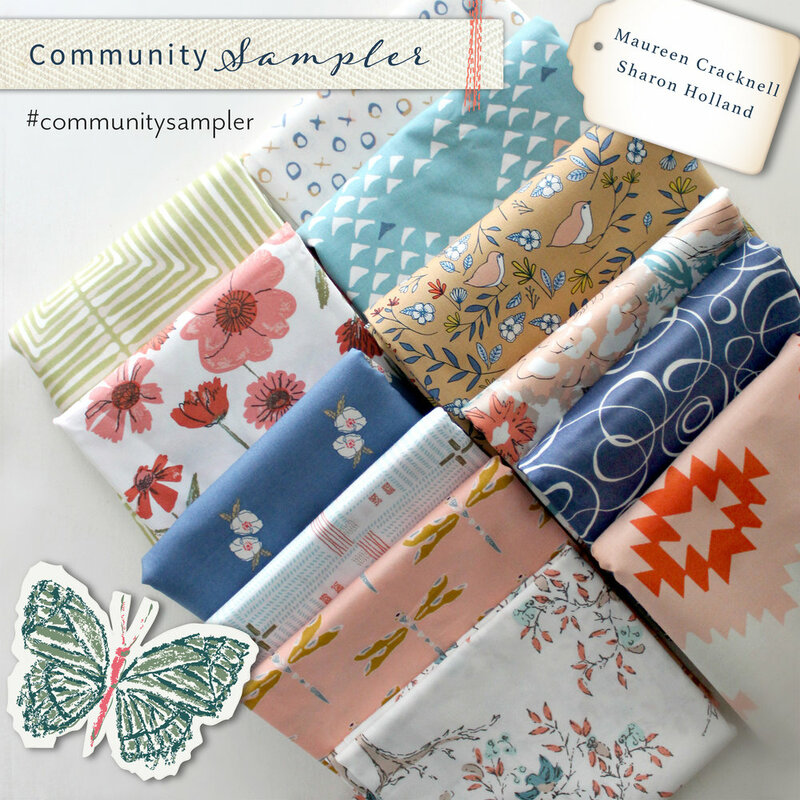 This week the Fat Quarter Shop is offering the beautiful Harvest bundle that includes TEN prints from my Bountiful fabrics collection for Art Gallery Fabrics! 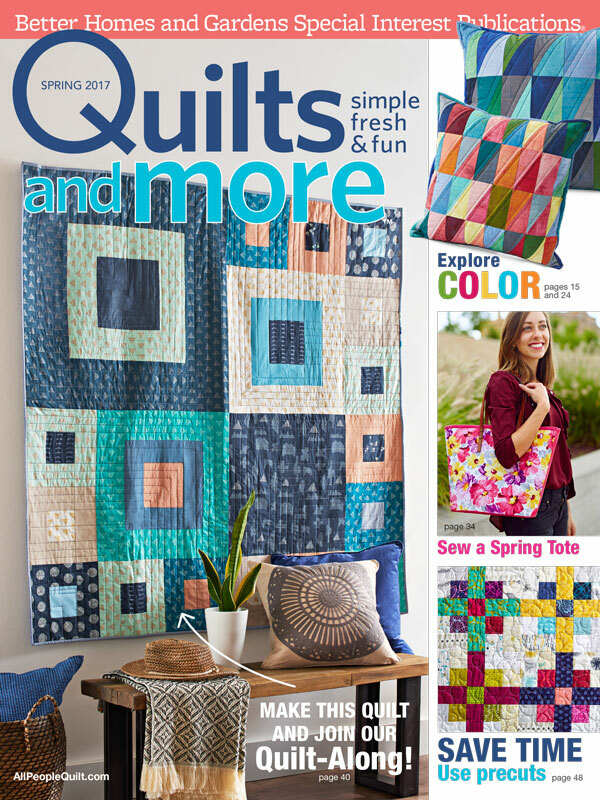 You can find the Bountiful collection in a variety of bundles, as individual prints, and quilt kits available HERE at Fat Quarter Shop! 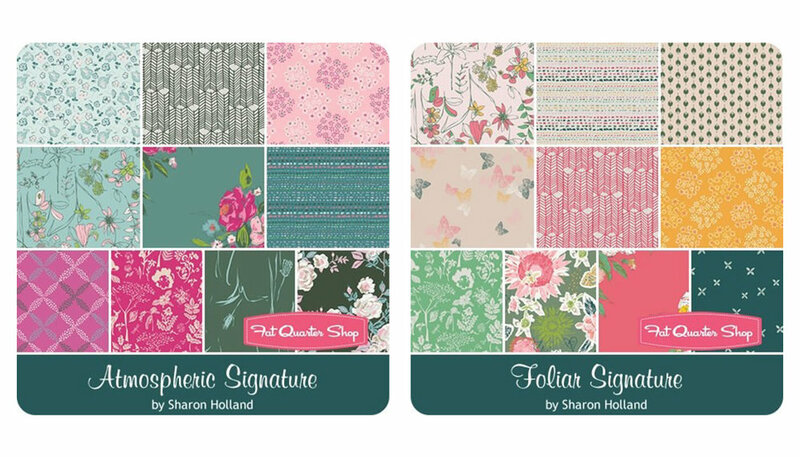 I'm so excited to announce that the Fat Quarter Shop has my next Art Gallery Fabrics collection, Signature available for pre-order. Note that Signature fabrics are not part of this giveaway. 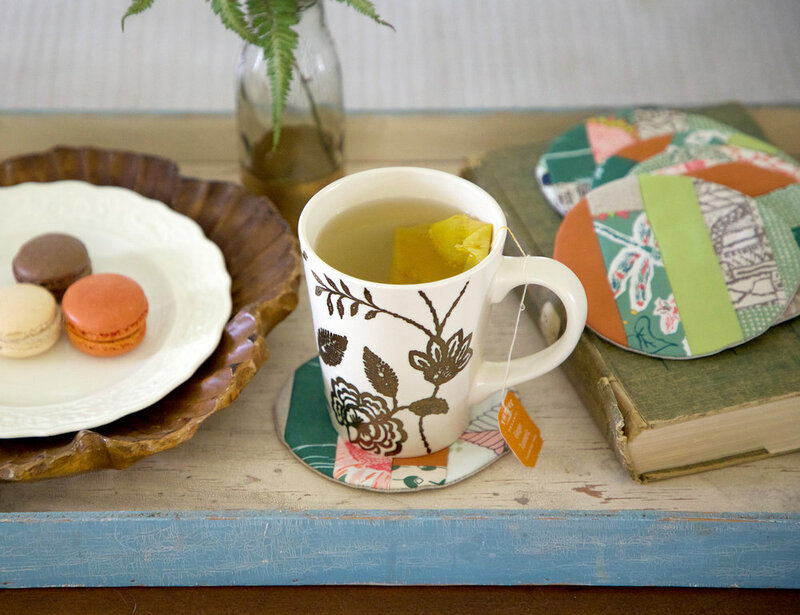 More about my new collection in upcoming blog posts! 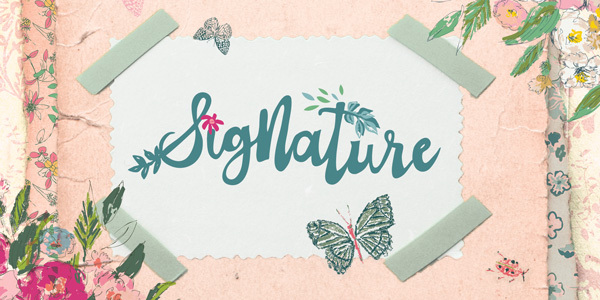 Note: Signature available for pre-order in May from Fat Quarter Shop. 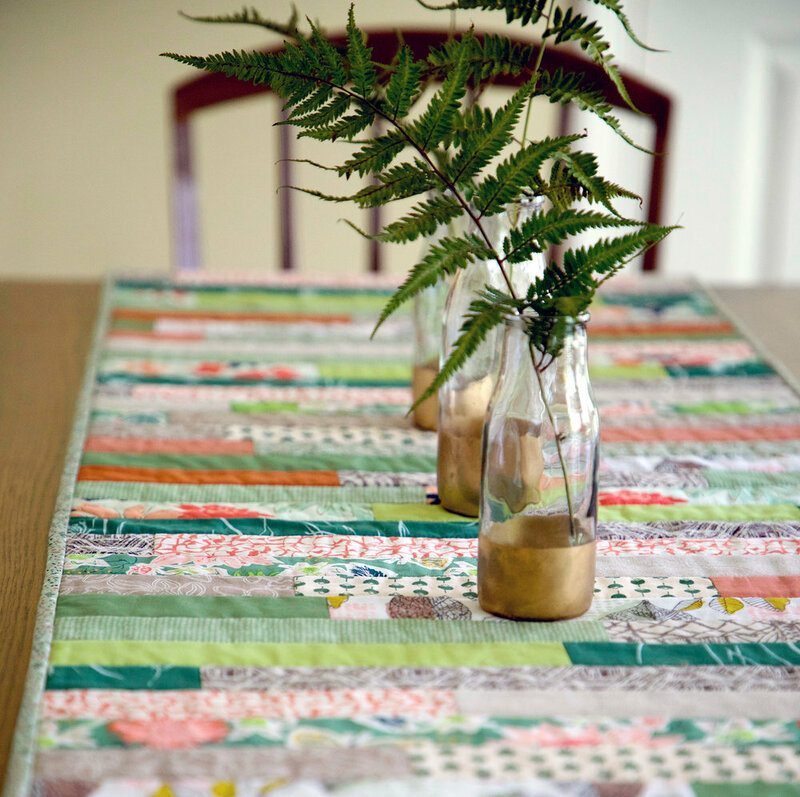 These fabrics are not part of this giveaway. 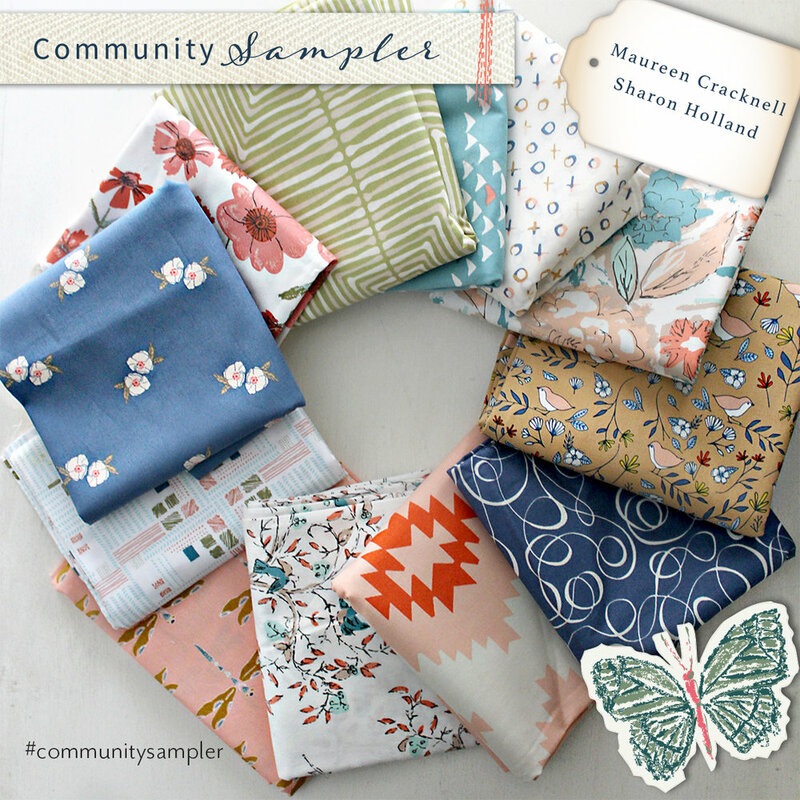 See Community Sampler Giveaway Week #10 for Bountiful Harvest 10-pc bundle images. Giveaway now closed: Congratulations to Susie! 2. 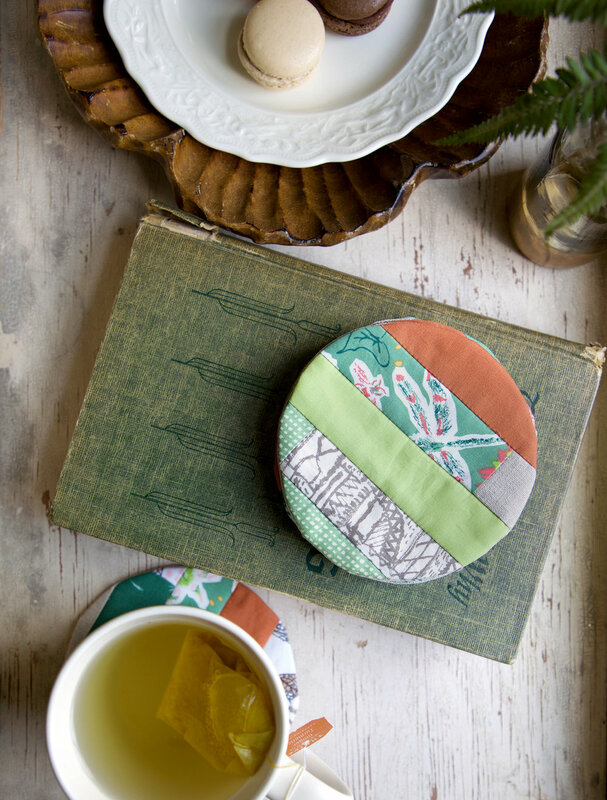 Follow The Fat Quarter Shop on their Blog and/or FACEBOOK. Just let me know that you did by making a separate comment here to record that entry. (Separate comment - second entry). That’s FOUR possible entries! Enter now through Monday, April 30th! The winner will be picked at random around 4pm Eastern. I will post the name of the winner on this post once they've been notified and responded to my email. 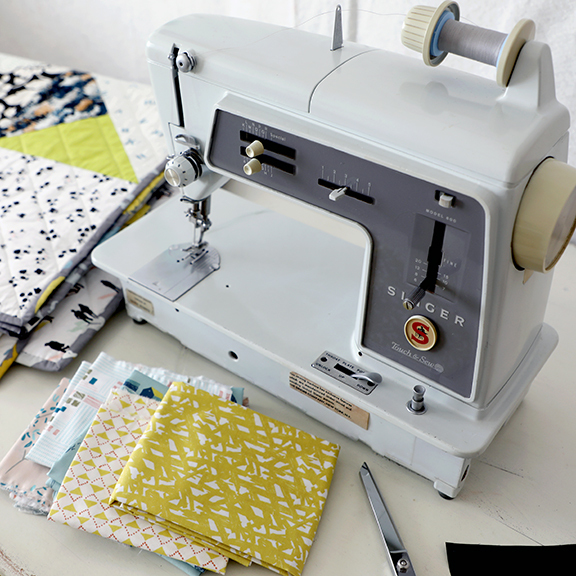 Great news everyone, there's going to be another free sew along this year! 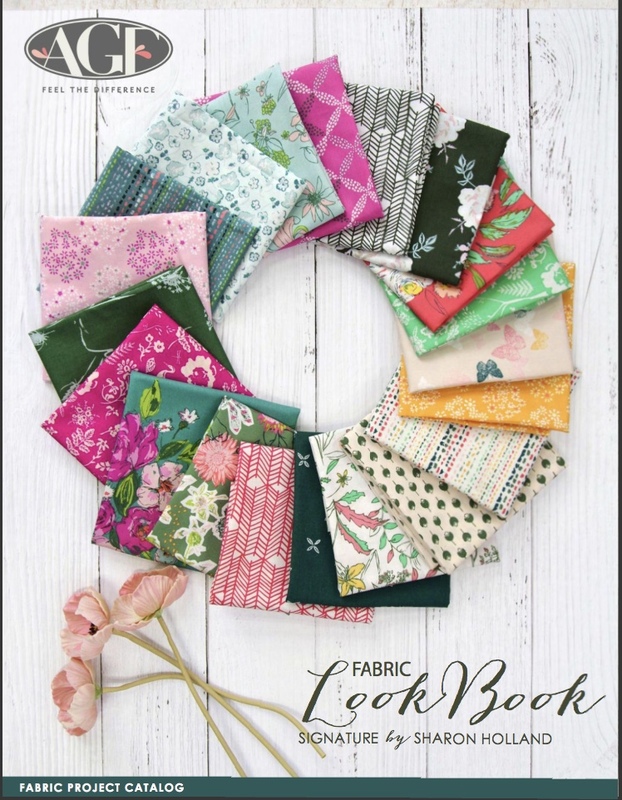 May co-host, good friend, and Art Gallery Fabrics sister designer Maureen Cracknell and I will be hosting another block-of-the-week sew along and it's going to start February 21st! Be sure to follow us both on our blogs, Instagram at @sharonhollanddesigns and @maureencracknell for all the upcoming details. Next week we will give you your first peek at the new name, new look, and a Maker button to share on your blog and/or Instagram feed. 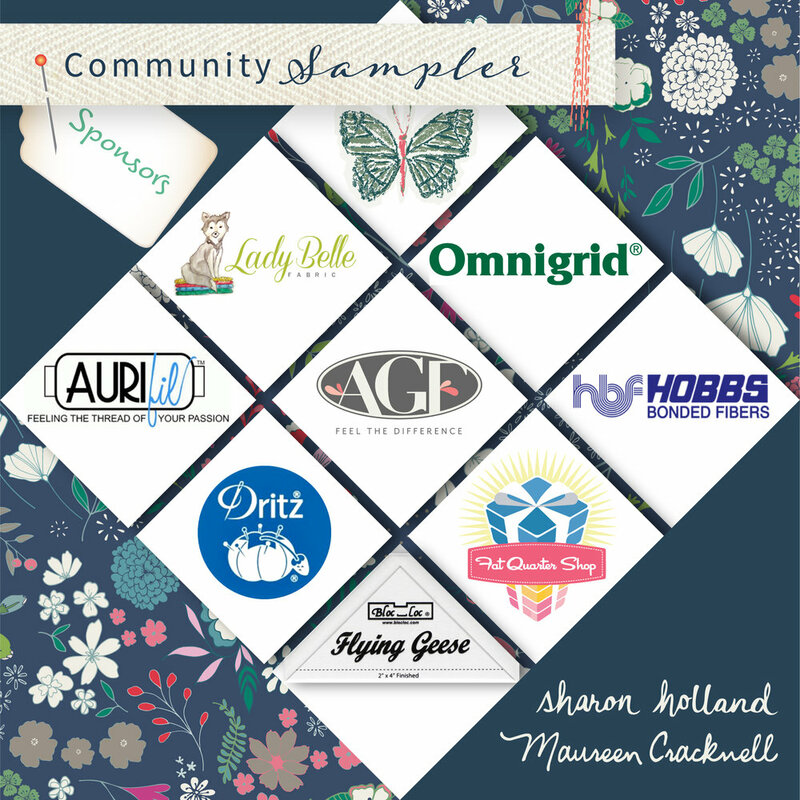 Everything you loved about the Sewcial Bee Sampler will be there plus we took into account all the wonderful feedback from last year's survey. 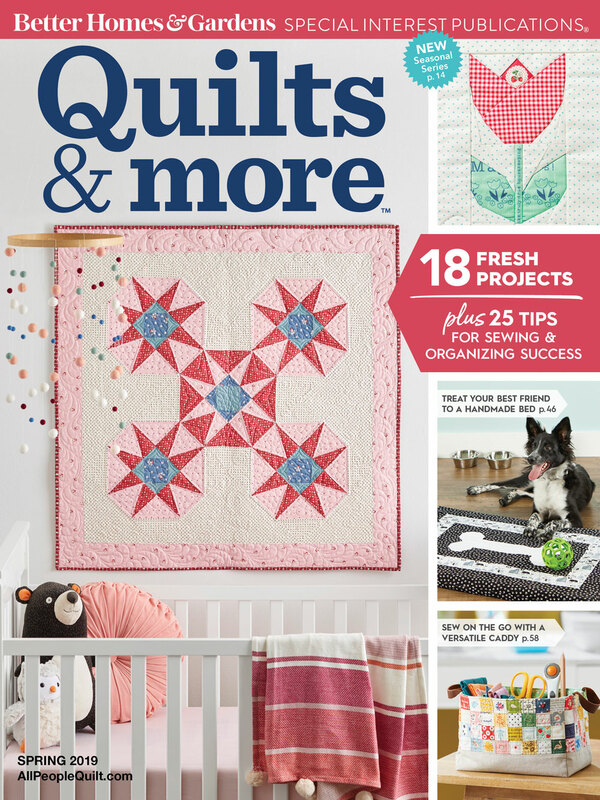 We're hoping you'll love this new sampler even more. 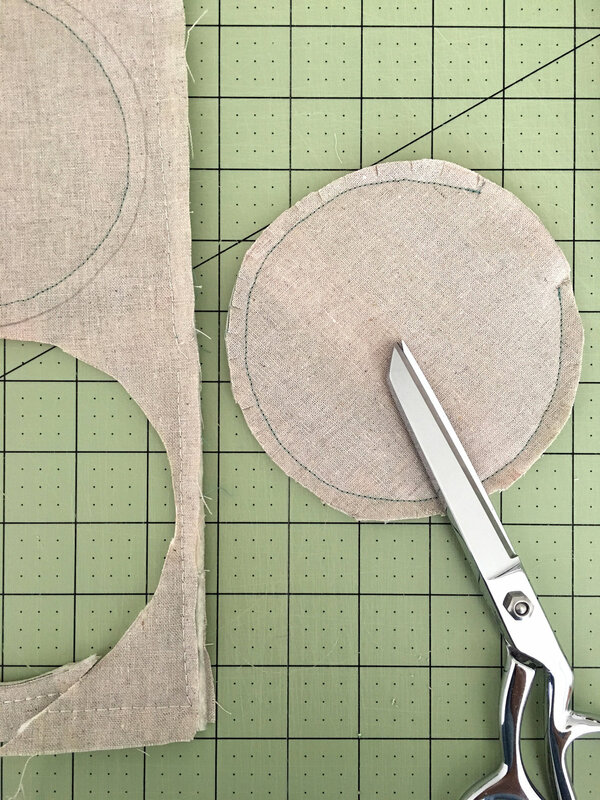 In preparation for all that sewing you'll be doing I wanted to give you a little pre-flight checklist so your sewing experience can be a good one. Having your sewing machine in tip-top running condition is a must. 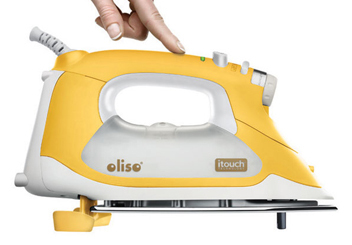 Not only does it protect your investment but it makes for a hassle-free sewing session. Check out my past tutorial on how to clean your machine and help it perform at it's best. You heard me say it a million times last sew-along "sew with an accurate 1/4'' seam allowance." 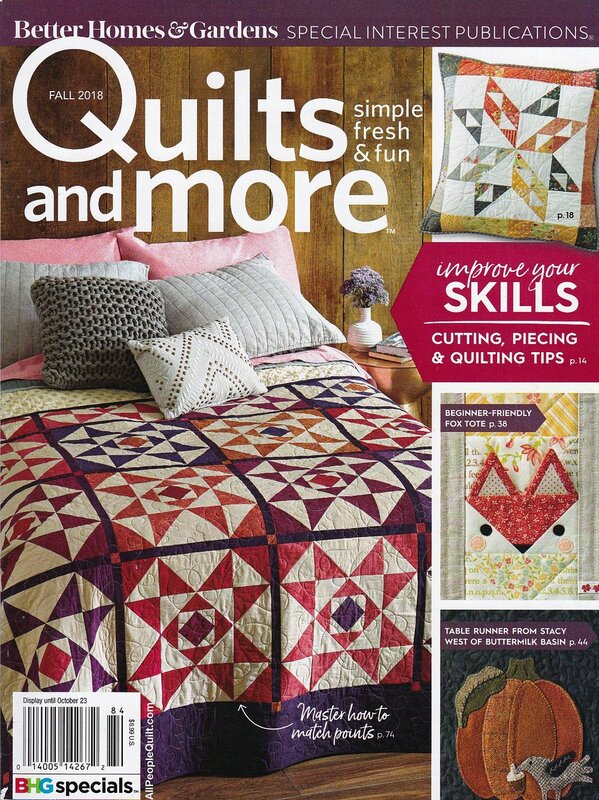 I'm going to always stress that point and it's the number one reason beginning and seasoned quilters get wonky blocks and clipped points. 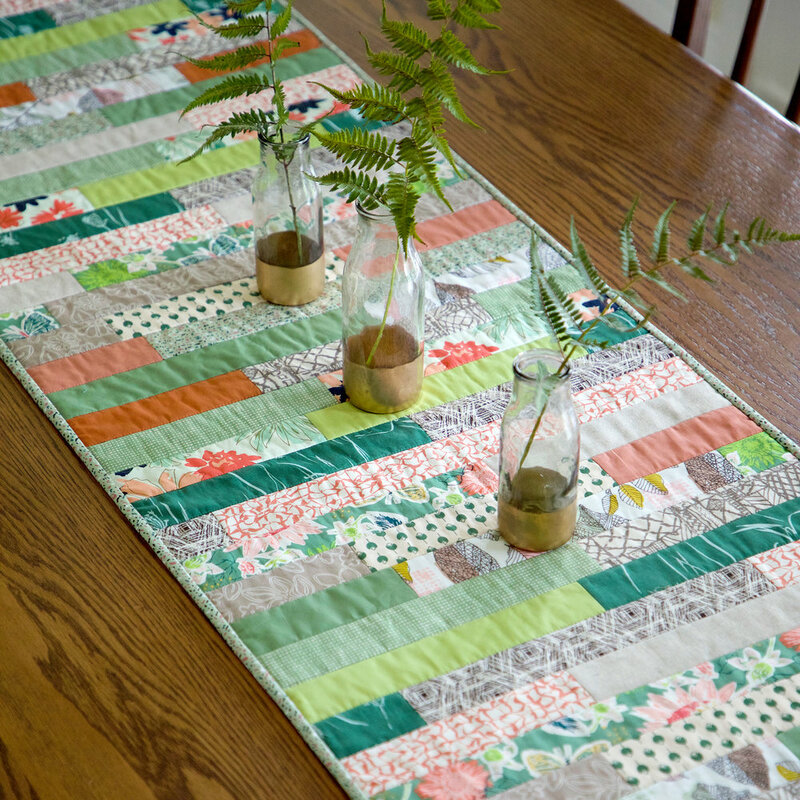 Make sure you're starting out on the right foot and review my Perfect Patchwork tutorial. 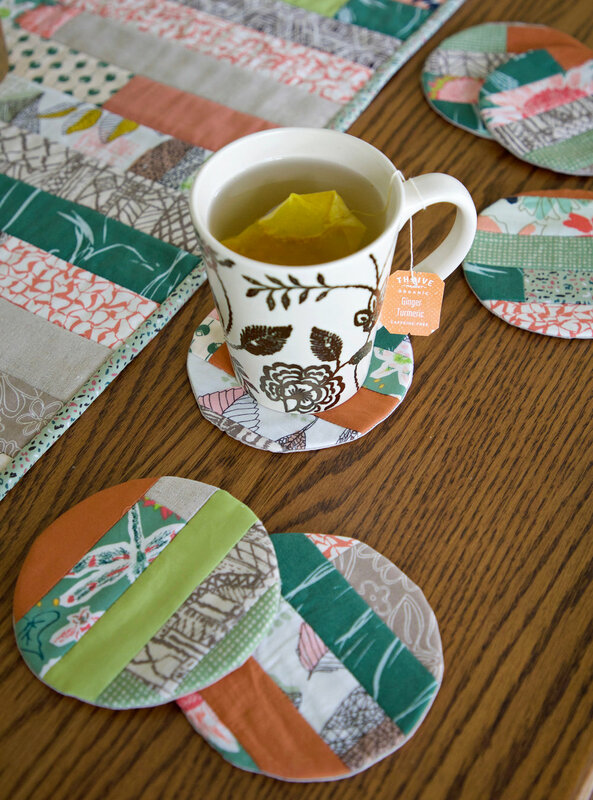 Pressing is always a question every quilter has. The answer is, "Yes, and often." I press my fabric before I cut it and after every time it's been stitched. I especially think it's important to press before cutting apart units like Half-Square Triangles, Flying Geese, etc. 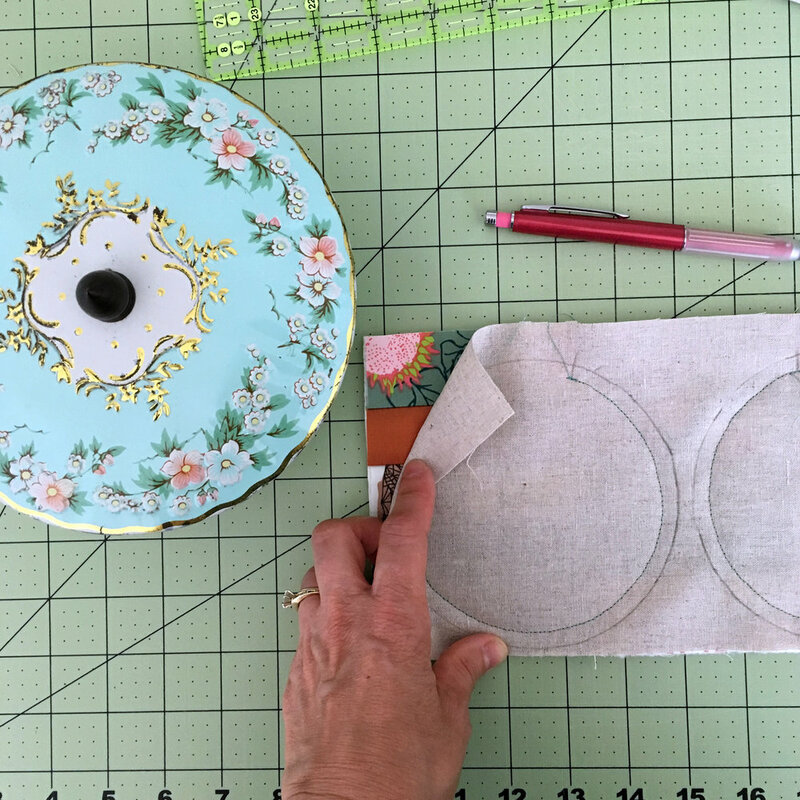 By pressing the fabrics before cutting apart it not only flattens the unit but sets the seams and helps for a sharp edge once the unit is opened. 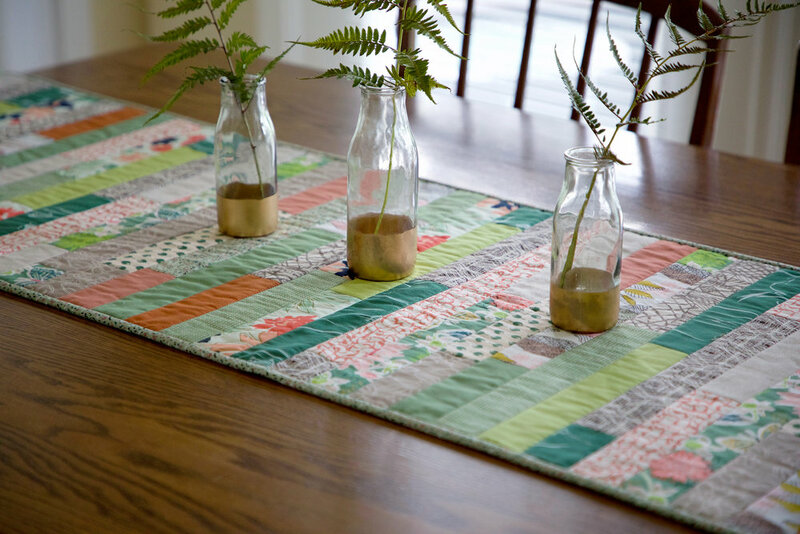 Read more on the Perfect Patchwork tutorial page. You'll also find my favorite sure-fire, easy pinning method. 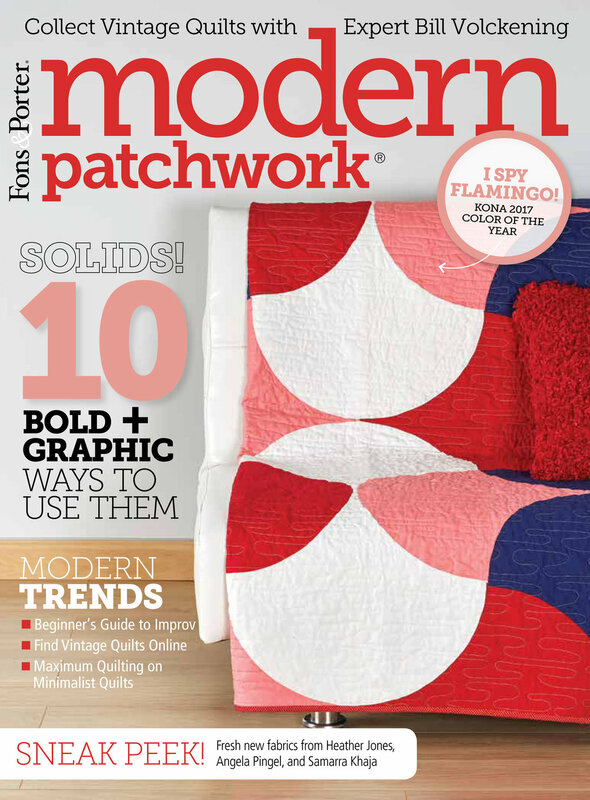 Another must for making your patchwork effortless is starting with accurately cut strips and shapes. 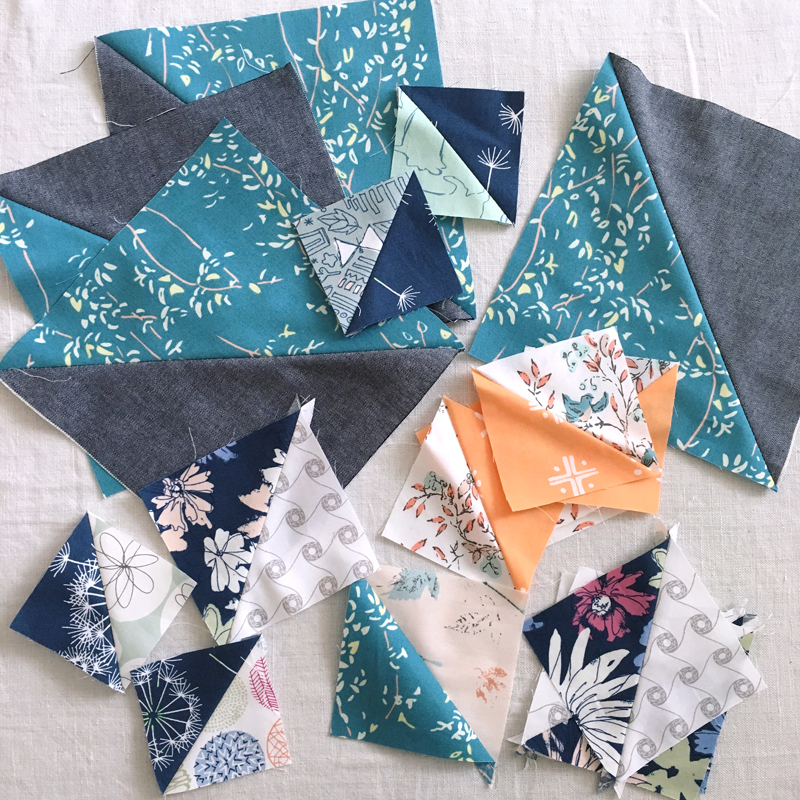 Even the small amount off will cumulate once pieces are sewn together and your block again can be wonky or way off the mark. 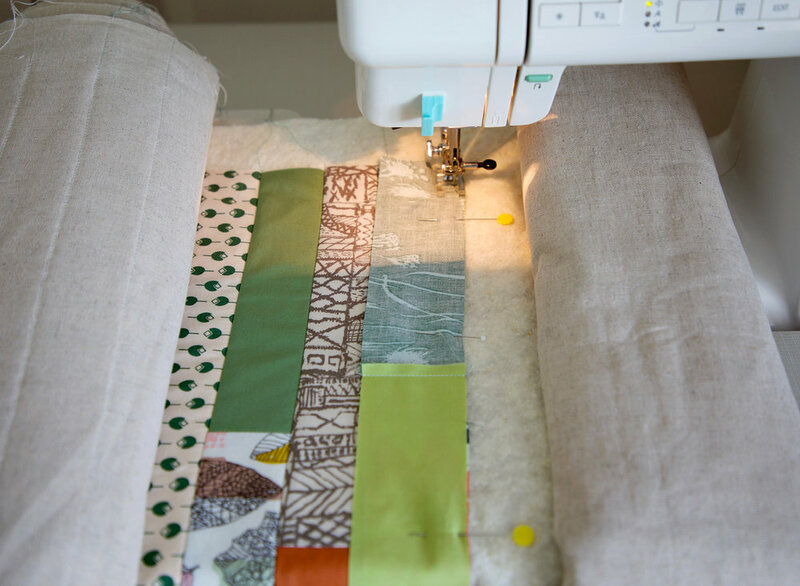 Review how to straighten the edge of your fabric before cutting strips and how to cut the right size strips and shapes for your blocks here. 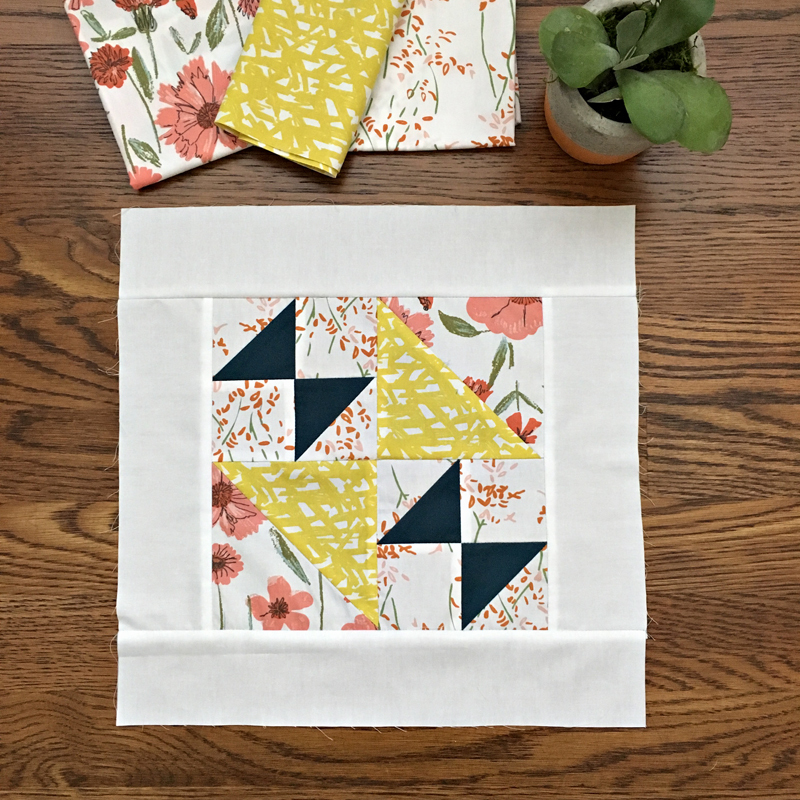 One of the things I noticed about last years sampler blocks was the desire for quilters to have their chosen prints all running the same direction. 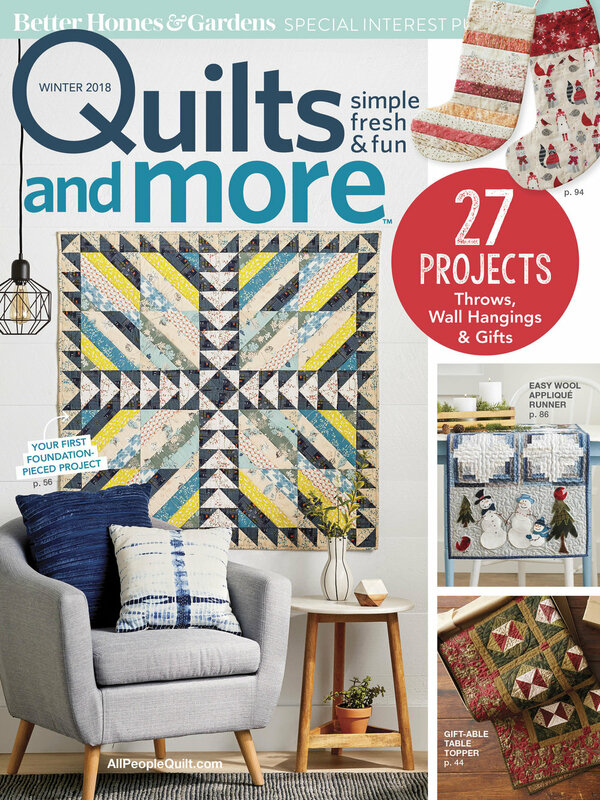 In the past I've not been overly concerned about that because I think of a quilt as an object that is seen from all directions and not static. But, it was a good eye-opening for me to realize that others did find this something they wanted to achieve in their work. To help with that problem, especially when making units like Half-Square Triangles and Flying Geese I put together a little tutorial for controlling the direction of prints. 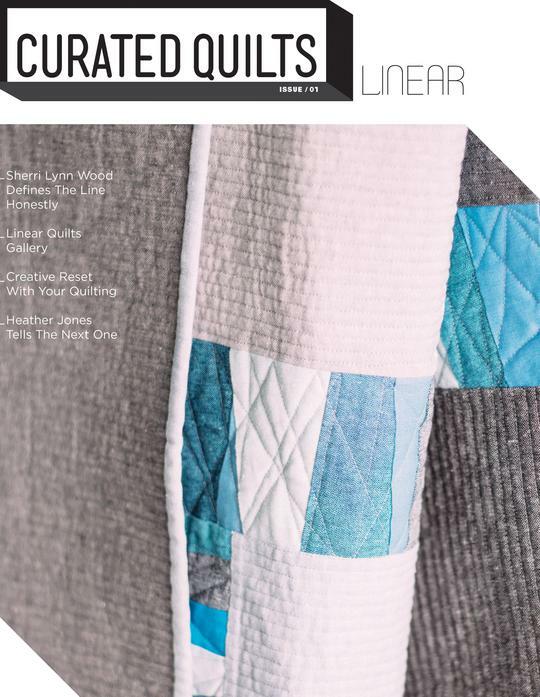 You have a little less than two weeks to dust off your machine, finish up UFOs, and get ready for some sewing fun with Maureen, myself, and the amazing other Makers online that take part in our virtual sew along. I'm looking forward to seeing all your beautiful makes and reconnecting.